With the release of Windows 10 on July 29, 2015, Microsoft started it’s transition to using Windows as a service. For most users though, it is just a new operating system to either upgrade to or a new operating system to install on their computers. 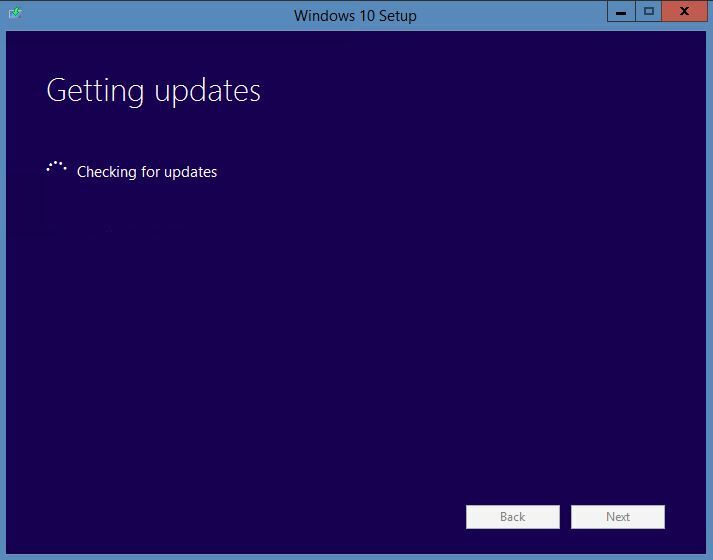 This guide is designed to help whether you are upgrading or performing a fresh install of Windows 10. As always, if you have questions or comments drop them below and we’ll respond ASAP. 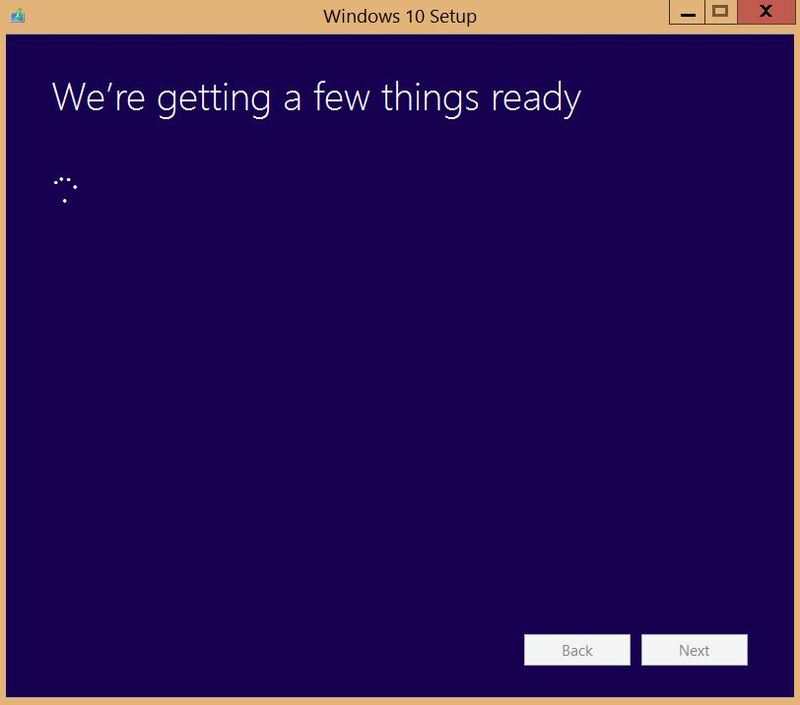 Before upgrading a PC to Windows 10, there is some preparation to ensure things go as smoothly as possible. The first step should always be to back up any personal data that in case there’s an issue during the upgrade. 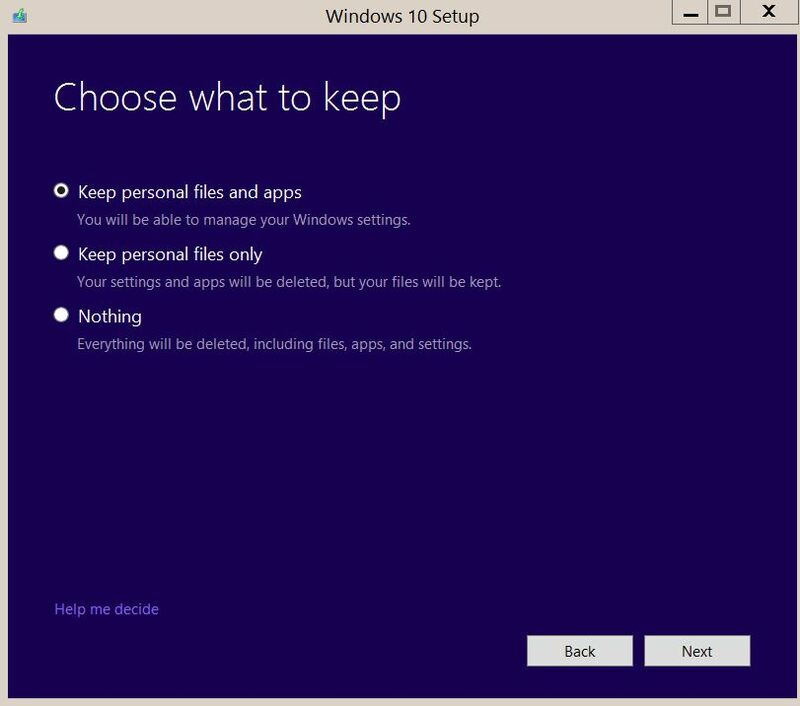 With Windows 10 clean installations, users are installing a new instance on the computer and no personal data will be retained. After the backup process is started, it’s a good idea to download any hardware and software drivers needed for Windows 10 after the operating system in installed. At a minimum the chipset, network, and video drivers should be downloaded if at all possible. By installing these drivers first after Windows 10 is installed, it will allow you to connect to the Internet, adjust the video resolution, and most importantly, make sure the computer has the right motherboard software installed. If you are saving your backup to a hard drive, make sure that it is not the same hard drive that Windows 10 will be installed on. 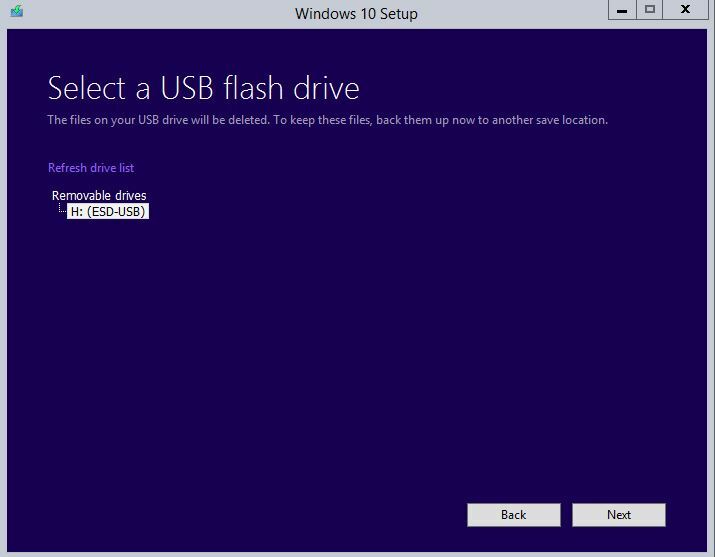 A flash drive is another suitable alternative, however it’s not recommended to save the drivers to the same hard drive on which the Windows 10 will be installed or on storage media accessed via a network. If the hard drive were formatted, any driver or other software installation files saved to that drive will be lost, and if there is a driver issue, you may not be able to access the network. Its also a good idea to make a list of applications you’ll want reinstalled after an upgrade. Its a good idea to download the applications onto a flash drive or external hard drive before installing Windows 10. And while you’re at it, verify that all products keys are available. 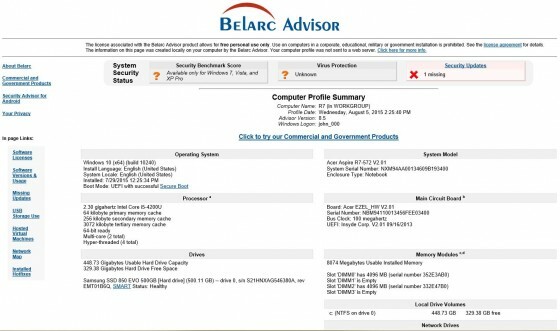 One program that simplifies the process is Belarc Advisor. 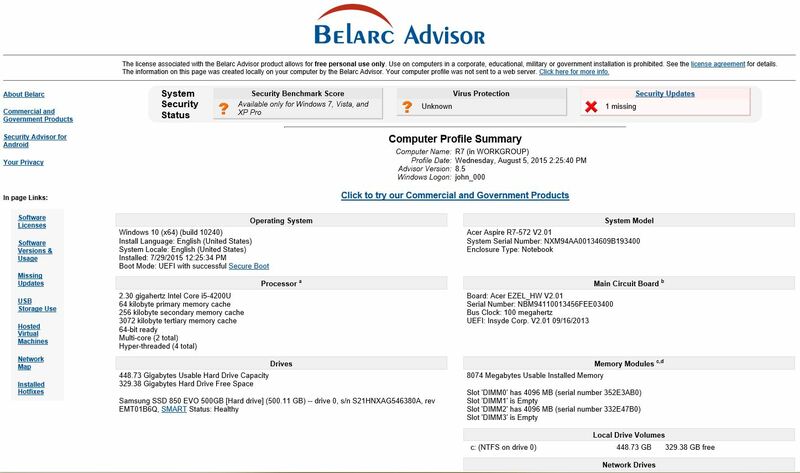 It looks for programs installed on the computer and also lists product key information for any installed application. The last recommendation is to go to Windows updates and make sure all applicable updates are installed. To get to Windows Update, use the steps in the Windows 7 article. If using Windows 8 or 8.1, use the directions in this article. For some updates when using Windows 8 or 8.1, users may need to access Windows Updates using the Control Panel instead of using PC Settings. In Windows 10, Microsoft has changed how operating system upgrades are performed. Microsoft now includes the upgrade to Windows 10 as part of Windows Update. During the initial rollout of Windows 10, users may not see it as an available update until Microsoft increases the update’s availability. You have two options when installing Windows 10. Perform an upgrade in which existing personal data is retained. Perform a clean installation in which no user data is retained. Feel free to jump right to the portion that applies using the links above. If you currently have Windows 7, 8, or 8.1 installed, the upgrade process will need to be performed because the product keys will not work with Windows 10 until the hardware information for that computer is saved in Microsoft’s servers. The only way to save the information is to perform the upgrade. After the upgrade, you can use the clean installation option on subsequent Windows 10 installations. Upgrade installations can be performed using either of two methods. The first method is to use Windows Update. Run the installer file. If prompted by the User Account Control window to allow the program to run, do so. Select the Upgrade this PC now option on the What do you want to do? Window. 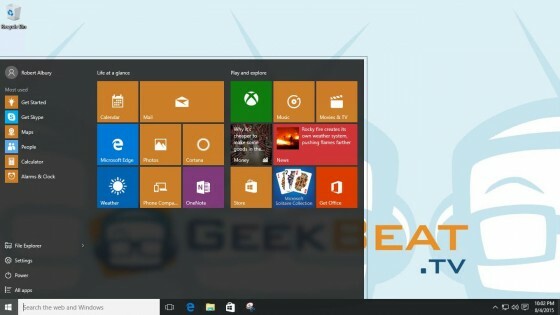 The tool will download Windows 10, verify the download was valid, and create the media. The information in the window will change as each step occurs but no user action is involved until the Creating Windows 10 media window loads. 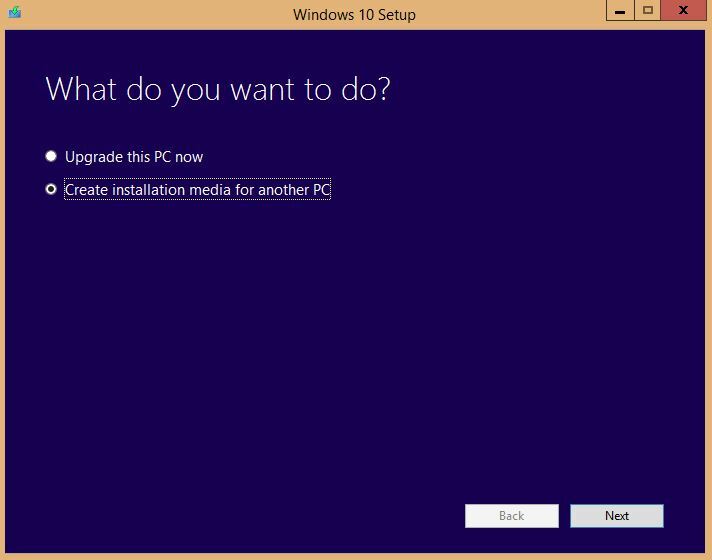 After the Windows 10 media has been created, the installer will check for updates. 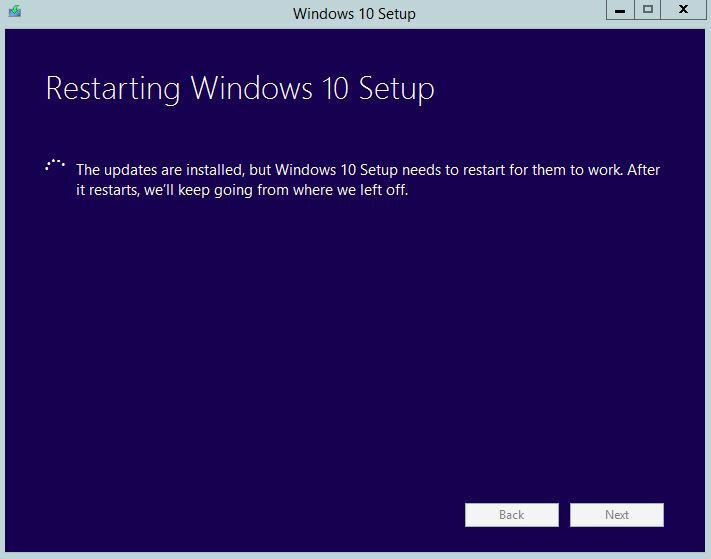 You may see a window that updates were installed and that Windows 10 Setup needs to restart. If this appears, let it keep going as the installer will restart so that the updates will work. On the next screen, Setup will do some preparation for the Windows 10 installation. The License Terms window will load. The next window that loads asks users to choose what they want to keep. Select your option. Next, the installer tool checks to verify if everything is ready to install and that the PC has enough hard drive space for the upgrade. After this process completes, the Ready to Install window appears. Select the Install button to start the upgrade. At this point, the upgrade starts and the screen changes to a window stating Installing Windows 10. There is also a message that the PC will restart several times. A Cancel button is also on this screen if the upgrade needs canceled although cancelling an operating system upgrade can cause problems with the original operating system. After the first reboot during the process the screen changes to display the completion percentage for the upgrade. The new progress display only has three items listed at the bottom of the window: Copying files, Installing features and drivers, and Configuring settings. Once Windows is upgraded, the computer will load the Login screen. Click Next. The next screen allows users to select to Use Express Settings or users can customize settings. Click Next to continue. On the next screen, Microsoft introduces four new apps that are being released with Windows 10. Click Next again to continue. At this point, Windows finalizes the settings and loads to the Windows 10 lock screen. Select the lock screen to bring up the login window. If performing a clean install, you’ll need to create boot media using Microsoft’s Windows 10 Media Creation tool. You’ll also need to install all drivers and software back on the PC. Download the Media Creation Tool from https://www.microsoft.com/en-us/software-download/windows10. On the What do you want to do window, select the Create installation media for another PC option. Select language, edition, and architecture window settings needed for your computer. 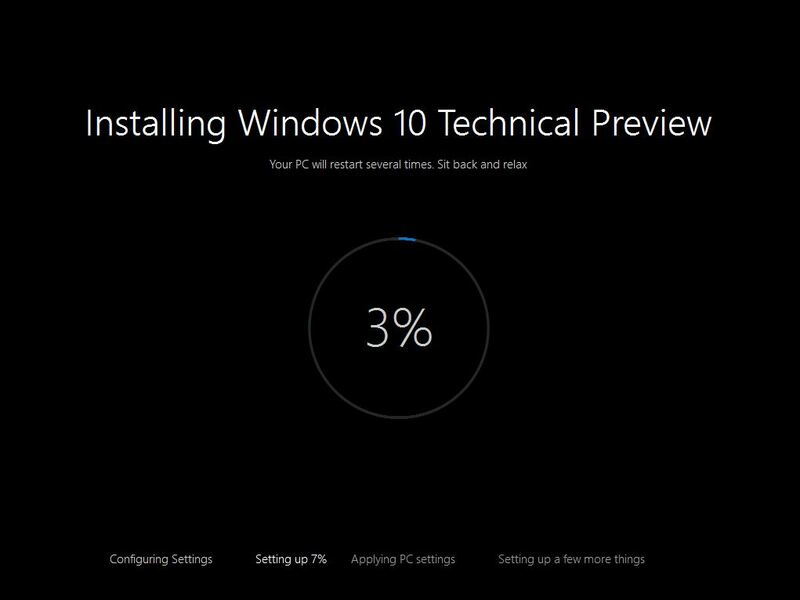 Windows 10 Setup will prompt users to select the media type to save the installation image to. There are two options, USB flash drive and ISO file. 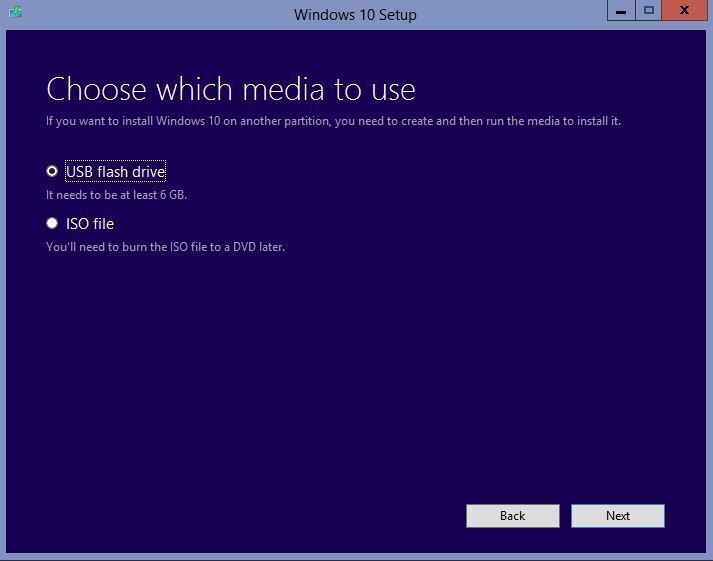 An ISO file is used when users are going to use a DVD drive to install Windows 10. A USB flash drive is a newer method that allows users to set up a flash drive to install the new operating system. On the next screen, you’ll need to select which drive to use. 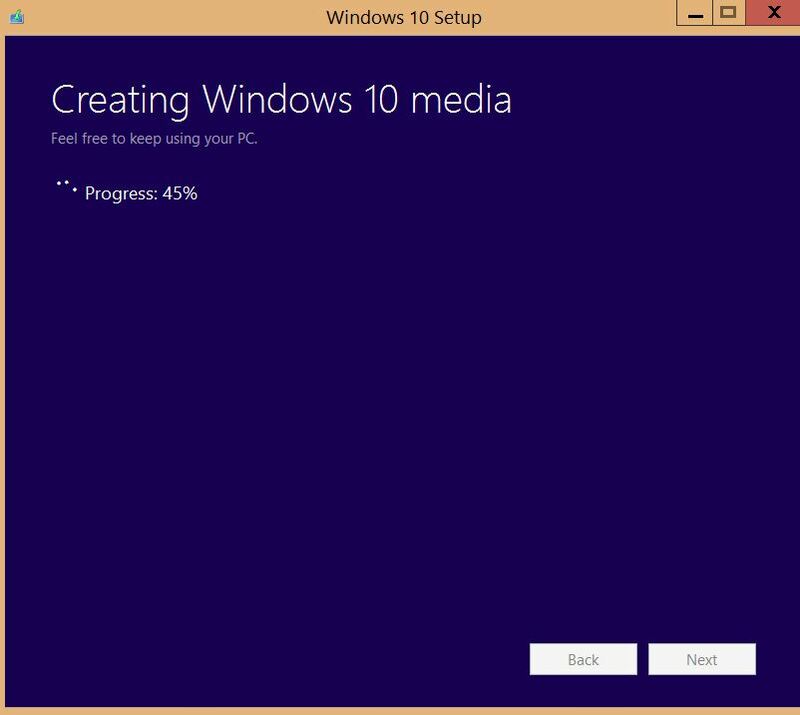 After the Windows 10 media has been created, the installer will let you know the media is ready. After inserting the installation media into the PC, make sure that the BIOS is set to boot to that media before loading the existing Windows install from the hard drive. Boot the computer using the installation media. When the computer first boots, you may be prompted to select which Windows 10 architecture to use. You’ll only see this if you selected the Both option when choosing the architecture during the media creation process. 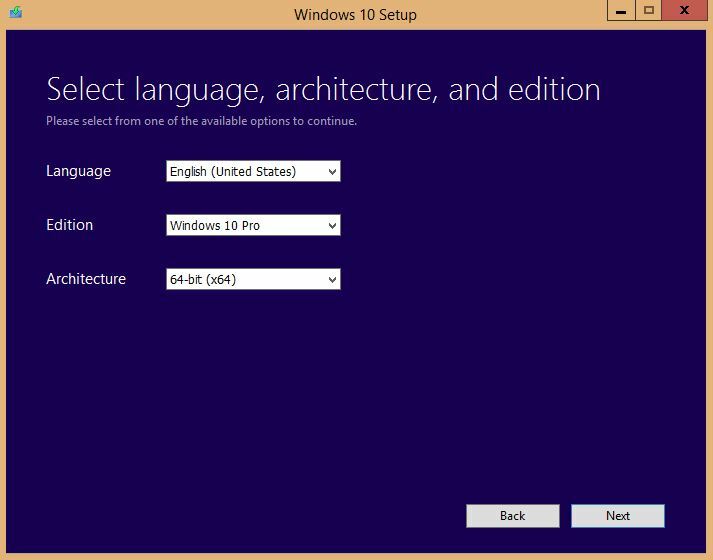 Windows Setup will start and load to the first window where you need to select the installation language, time and currency format, and the keyboard or input method. Select the options needed. A window will load asking you to enter a product key. If the clean install is being performed after upgrading to Windows 10 from Windows 7, 8, or 8.1, you can skip entering a key by clicking the link for Skip. 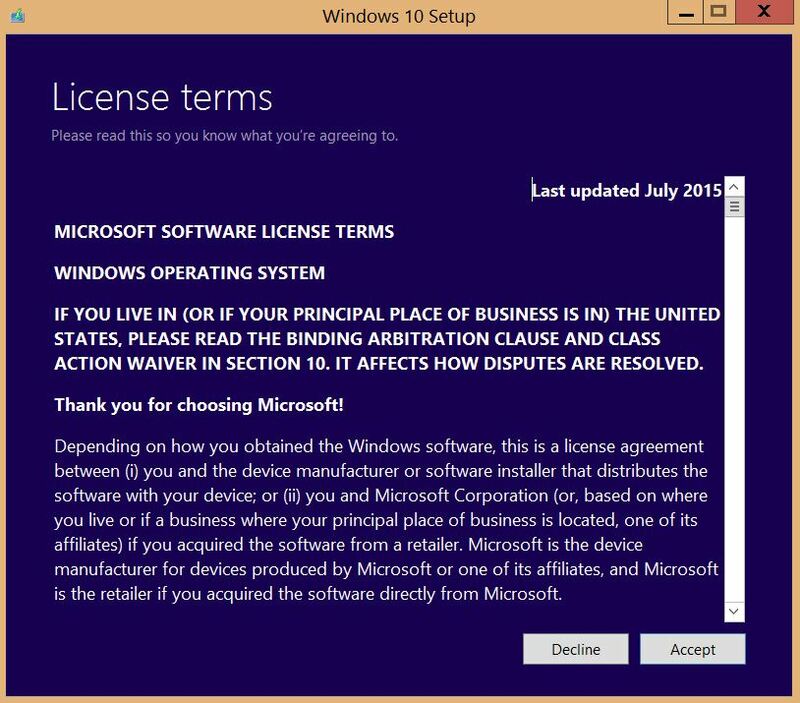 If this is a new license for Windows 10, enter the product key and click Next. Select the option needed. Next, the License Terms window will load. Accept them to proceed. On the next window, you have a choice to upgrade the operating system or perform a custom installation. If users wish to perform an upgrade from here, it can be done but there are quicker ways to get to the upgrade options as shown in the Upgrade section. To perform a clean install, click on the Custom option. The next window to load will ask users where they wish to install Windows. Select the drive or partition where Windows 10 will be installed. IF users choose to remove the partitions created during a previous Windows installation prior to installing Windows 10, be careful not to delete anything important. At this point, Windows will be installed and the computer will restart several times. The computer will reboot to a screen asking users to enter a product if it was not done earlier. For users who previously upgraded from Windows 7, 8, or 8.1, click the Do this later link at the bottom of the screen. If the computer will connect to a wireless network, users will be prompted to select the network on the next screen. If connected via a wired network, this step will be skipped. Click on the wireless network that will be used. Enter the network security key if needed. After selecting network settings (if needed), users will load a screen where Windows 10 settings can be selected. The screen allows users to select Use Express settings or users may click the link to Customize settings. If Customize settings is chosen, users will go through several windows showing different settings options. If Use Express settings is selected, Windows will use a set of default settings. After selecting what settings to use, Windows 10 will configure those settings and then reboot the computer. After the reboot, users may be prompted for a product key again if they have not entered one. Click Do this later again if needed. A windows asking who owns the PC will load. If an organization such as an employer owns the computer, select the My organization option. If this is a personally owned computer, select the I own it option. On the next window, users will be prompted to sign in with their Microsoft account. Enter the username and password. Users will be asked on the next screen to set a PIN to use instead of a password. Users can choose to set a PIN or they can use the Skip this step link. Click on the desired option. If Set a Pin is chosen, a window will open in which the user can select a PIN and then reenter the PIN to confirm it. Click OK after setting a PIN. The next screen introduces Cortana. Click Next to continue setting up your computer. After setting up the last of the settings on the computer, Windows will load to the desktop. After upgrading to Windows 10 or performing a clean install, you’ll want to reinstall programs or applications. During Windows operating system installations, Microsoft uses generic drivers while setting things up. If there are newer drivers that have been approved in the Windows Hardware Quality Labs (WHQL), Windows may install those drivers instead. There may be drivers that Windows is unable to identify, and in those cases we recommend getting drivers from each vendor. When possible, install the chipset drivers first, followed by the network and video drivers. After all drivers have been installed, proceed with applications. In cases like printers, the software often includes both drivers and application software. You may want to prioritize those applications first. Since Windows 10 is a new operating system release, there can be issues with drivers not working. These issues will be fixed in time by the hardware and software manufacturers, but in the meantime you may have to live with some glitches. If you have any questions or comments, please post below or email me at the link in my bio.